Hey everyone! It's Candace from Candi O. 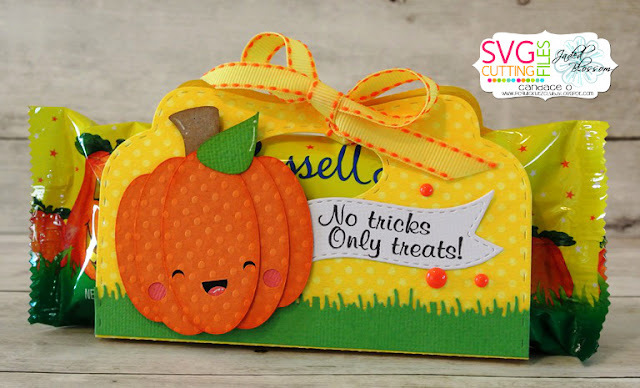 Designs and it's my day over at Jaded Blossom and I am sharing a project I made using the Monthly Spotlight Stamp Set ~ Halloween Treats. I found this Marshmallow Pumpkin Chocolate Bar and made a holder out of the Candy Caddy Die for it. I went with the color theme off the packaging to tie it all together! I hope you all liked my project for today and don't forget to get your own Halloween Treats Stamp Set at a great price this month! This is just too cute. You did a wonderful job!! 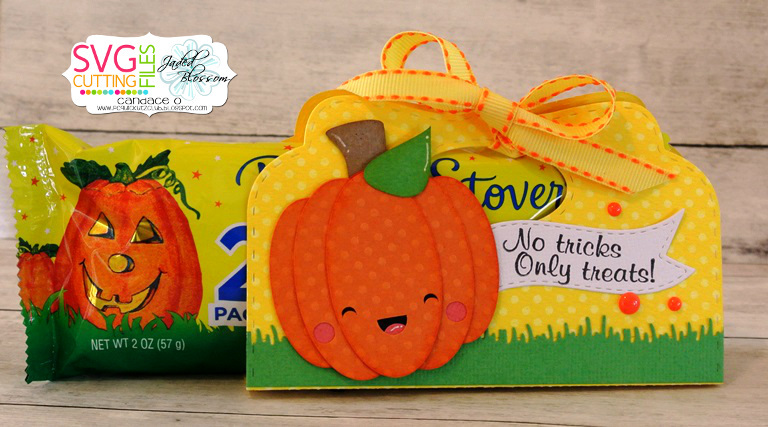 What a cute little treat container with the most adorable pumpkin ever!